Perhaps this is what a desk job does to you when you just weren’t made for it. Is anybody really made for it? I guess they are, although I don’t totally get it. I have friends that are thrilled to be climbing up the executive ladder. I, myself, am really not sure how I got here. And I know I am blessed. But I just can’t consistently dedicate. My dedication ebbs and flows and in the in between all I can do is dream. 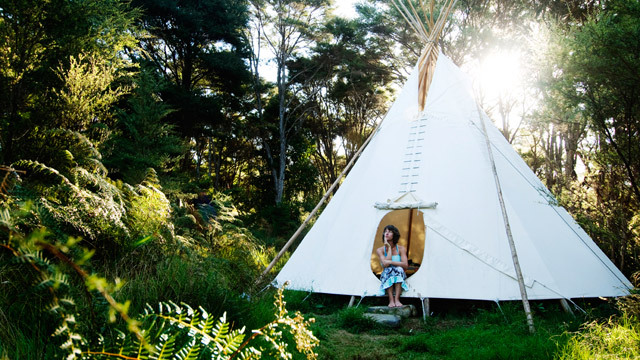 It doesn’t help me concentrate or focus on creating on boarding plans or analyzing compensation data when there is wide world of internet out there waiting to reveal fantastical destinations like the one I discovered today, TIPI VILLAGE RETREAT! If you’ve been around my Notebook for a minute or less you know by now that I am obsessed with tipis and yurts. Well, for the tipi lover, this place is like Disney. And it makes it really hard to focus on spreadsheets! 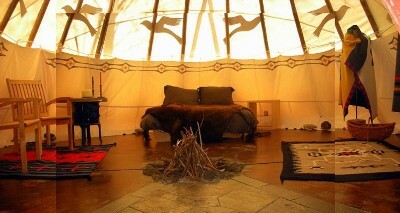 YUP, THAT’S A FIRE PIT IN THE TIPI!!! 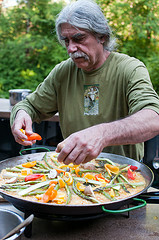 YUP, THEY MAKE YOU PAELLA!! !